Times Square can be seen on a tour of “Midtown Manhattan”, by day or by night. In addition to seeing the bright lights and the waves of people and traffic flowing through the bowtie-shaped intersection, guests will also be able to take their pictures with WWI hero Father Francis Duffy or with Broadway composer virtuoso George Cohan. Guests will also learn why this intersection is called “Times Square” and be able to understand the rise, fall, and new rise of this storied junction. For those who like nature in the city, Central Park is often a great spot to snap and share photos. 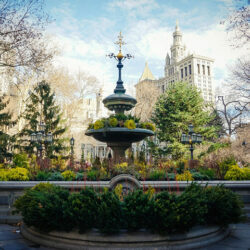 Sights by Sam’s “Central Park” tour shows off the emerald jewel of Manhattan in all its glory. Guests will learn about the purpose behind the formation of the park, its decline, and its great resurgence that continues to this day. 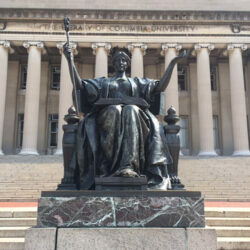 In addition to learning about the park’s history (and the plants and critters that make the park their home), guests can also get pictures on the Oak Bridge, Bethesda Terrace/Angel of the Waters, and the Mall, among other iconic spots. For something different, visitors on Sights by Sam can even snap pics with a castle in the middle of Manhattan or with some of the most pampered trees in the city. On Sights by Sam’s “Architecture: Building New York” tour, guests will learn about New York architecture, including some of Midtown’s highest peaks, and learn a bit of environmental and industrial history along the way.. Perhaps the biggest star of the tour is the ground the group actually walks upon—the High Line linear park, a repurposed train viaduct through the Far West Side and the Meatpacking District. 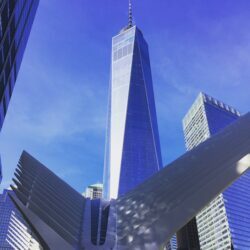 This park has quickly become the new star attraction in Manhattan, connecting the new Hudson Yards area with the Whitney Museum of American Art. There is no perfect spot for selfies and pics; indeed, the entire tour is perfect for them. 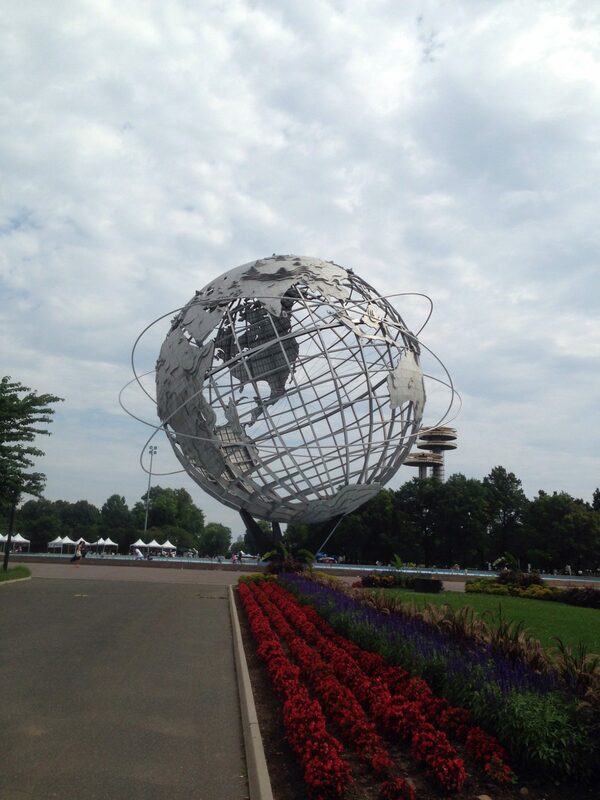 In addition to all of these main sites, Sights by Sam provides a plethora of great places to photograph such as the Unisphere in Queens, Grand Army Plaza in Brooklyn, or the birthplace of hip hop in the Bronx (along with the NYC version of the Champs Elysees). 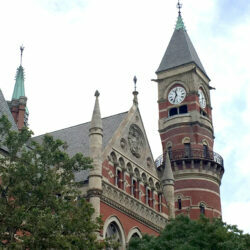 Find your perfect spot with a Sights by Sam walking tour. In addition to having some of the greatest museums in the country and the world, New York is blessed with an abundance of public art. Many artists are drawn to the city (and arts are funded by both private donors as well as the local government). This leads to many great public art displays (sanctioned by the government, companies, property owners, and some unsanctioned displays). Public art can be seen in all five boroughs. The city has been the site of several large public art installations. These have proliferated since the early 1980s when the city passed a “Percent for Art” law in 1982 that mandated that city-funded construction projects must have a set-aside of one percent of the budget for public artwork. This is also supplemented by a similar program by the Metropolitan Transportation Authority (MTA Arts and Design). What this means is that there are many art installations and pieces in front of city-owned buildings and in subway stations. Over the years, several have been controversial, such as a sculpture in the Civic Center called Tilted Arc, which was a 120’ long block of cor-tenn steel across a plaza, which was removed after a court trial. One of the most famous pieces was done in 2005 by artists Christo and Jeanne-Claude in Central Park called The Gates, which contained 7,503 orange gates spread throughout the park. 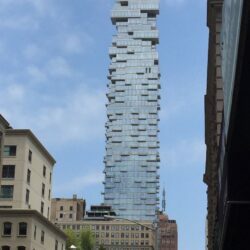 Much of New York’s public art not found in front of city-owned buildings or sponsored by companies can be traced to the work of the city’s Public Art Fund. Founded in 1977 by Doris C. Freedman, the Public Art Fund is a nonprofit organization that seeks to bring public art to spaces across all five boroughs. The goal of the organization is to bring contemporary art to the population of the city. A popular space for the public art fund to exhibit its works are at the entrance to Central Park at Grand Army Plaza in Manhattan and at Brooklyn Bridge Park near the eponymous bridge. 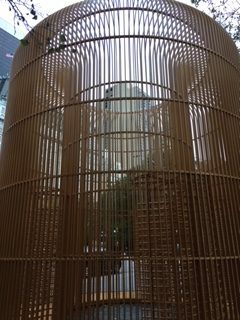 Some of the most famous/most talked about pieces include New York City Waterfalls in 2006 and the 2017-2018 Good Fences Make Good Neighbors sculptures by Ai Weiwei. 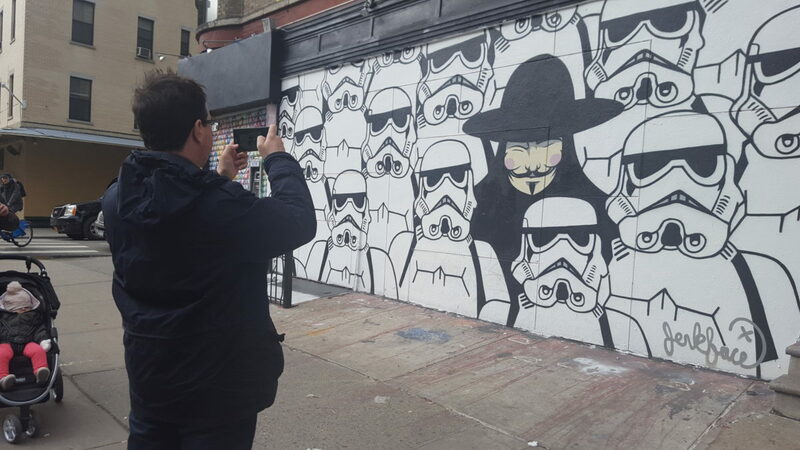 As New York is full of art, visitors are able to see art on any Sights by Sam tour. 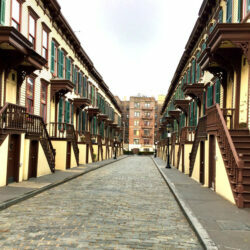 Reserve your place on one of the exciting Sights by Sam walking tour by calling +1 (917) 242-8421, or through sightsbysam.com today. It is not surprising that since New York has people from all over the country and world, our food would match the uniqueness and variety of the city. 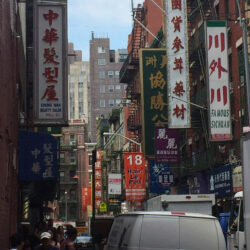 The cuisine of the city consists of dishes and snacks like hot dogs, General Tso’s chicken, bagels, and coffee—among many others. Perhaps the quintessential New York dish is pizza. Owing to its status as the major entry point for many Italian Americans and as a major center of culture in the United States, pizza spread from New York in the late 1800s and throughout the country. While there is dispute as to which great American city has the best pizza (Chicago and Detroit come to mind), New York has a style typified by a thin crust, tomato sauce, and mozzarella cheese. This type of pizza is also often cooked in a coal-fired oven. It has been said that the water in New York has unique properties that make the pizza dough tasty, although this has not been conclusively proven. In 1905, Gennaro Lombardi founded Lombardi’s Pizza, considered by historians and pizza enthusiasts to be the oldest pizzeria in the United States. Many pizzerias descended from Lombardi’s. One of the most prolific but unrelated pizza restaurants in the city is the preponderance of “Ray’s” locations throughout the city that are seen and patronized by natives and visitors alike. For individuals looking for a New York experience, there are dozens of different and great options for pizza in the city. Some of the best pizza joints originated on Staten Island, but good pizza can be found throughout the other boroughs as well. 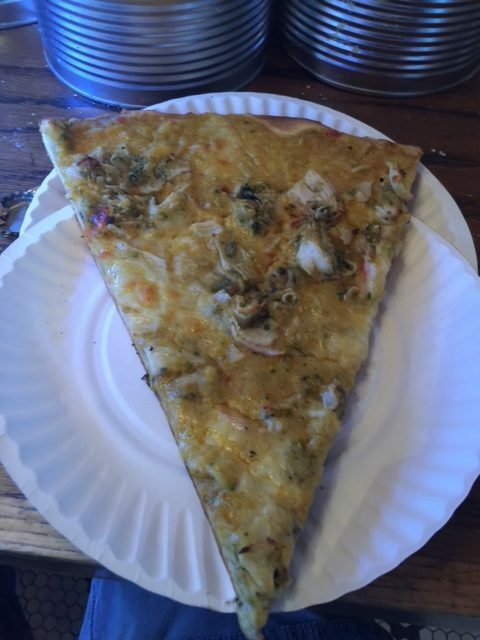 To experience pizza the proper New York way, it is customary to fold the pizza slice inward and consume. Food tours can be requested through Sights by Sam tours, where you can eat and learn many things on a special request tour. New York City is by far the largest city in the United States. Overseeing hundreds of square miles of territory and providing for the safety of over eight million people is no small task. The city has a budget of well over $70 billion and an army of over 300,000 municipal workers (including but not limited to police, firefighters, sanitation workers, and park workers) to help maintain the city. So how does the city work? The mayor is elected every four years by all of his citizens of the city and is responsible for executing their laws. The mayor is the nominal head of 32 city agencies and sits as a board member on 29 cultural attractions in town. Since the 1930s, the mayor has often delegated power to deputy mayors in an effort to run the city smoothly. If the mayor is unable or unwilling to perform his duty, the public advocate, a citywide elected position which functions as an ombudsman, would take that role. All city voters also elect a comptroller who is the chief financial officer of the city. In terms of legislation, New York City residents are represented by 51 councilmembers. Each member has a district containing over 150,000 residents. The council is divided into several committees and passes legislation for the city. The council elects a speaker to act as the body’s leader. Like in the federal House of Representatives, bills are sent to the mayor for signature to become law. The council can also override a mayoral veto. 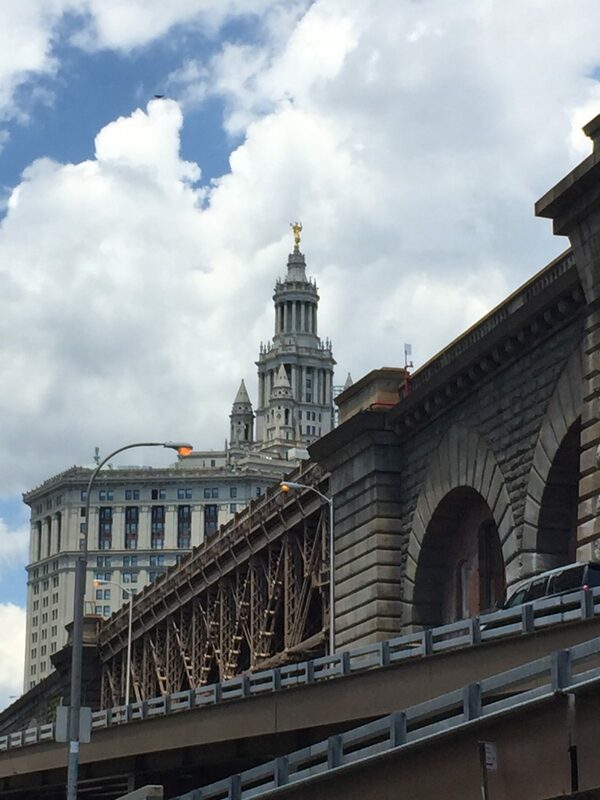 Because New York is made up of five boroughs, both the city and state of New York have courts in each of the five boroughs. The voters of each borough elect a district attorney. Federal courts are located in Manhattan and in Brooklyn. Each borough also has an elected borough president (who in turn has an advisory committee made up of council members and community members). While these offices are ceremonial, the borough presidents can introduce legislation in the city council and work as cheerleaders for their respective borough. Each neighborhood in the city is also part of one of 59 community boards that meet periodically to discuss local issues and recommend action, but are merely advisory in nature. This is the type of information you will learn on a Sights by Sam tour. 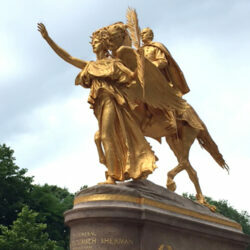 See where the city government meets on our “Foundation of New York” tour. Connecting the boroughs of Brooklyn and Staten Island, the Verrazano-Narrows Bridge spans 13,700 total feet (with a main span of 4260 feet) and is one of the longest suspension bridges in the United States and in the world. 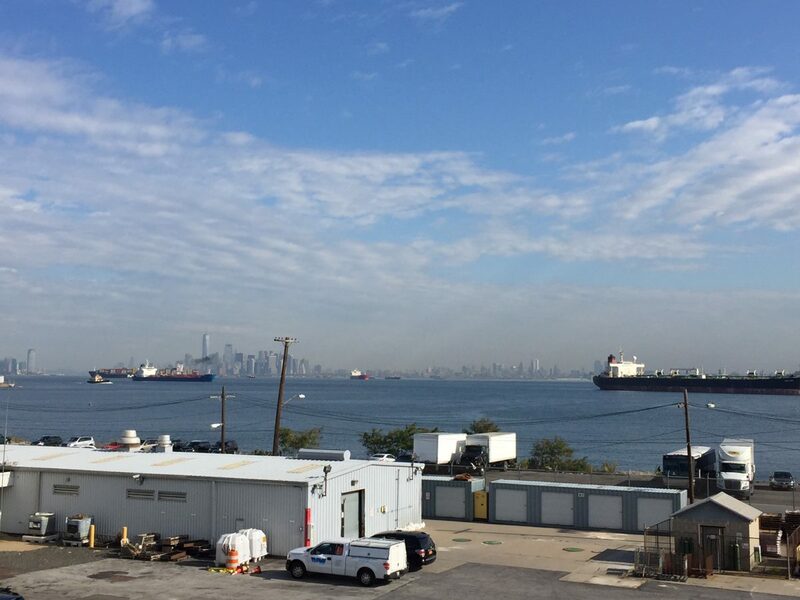 The bridge is instrumental in connecting the two boroughs, forming a major transportation corridor between the mainland U.S. and Long Island, as well as leading to the development of Staten Island. The bridge was completed in 1964 after five years of construction. It was designed by Othmar Ammann, who also designed the George Washington Bridge and the Bayonne Bridge, among others. 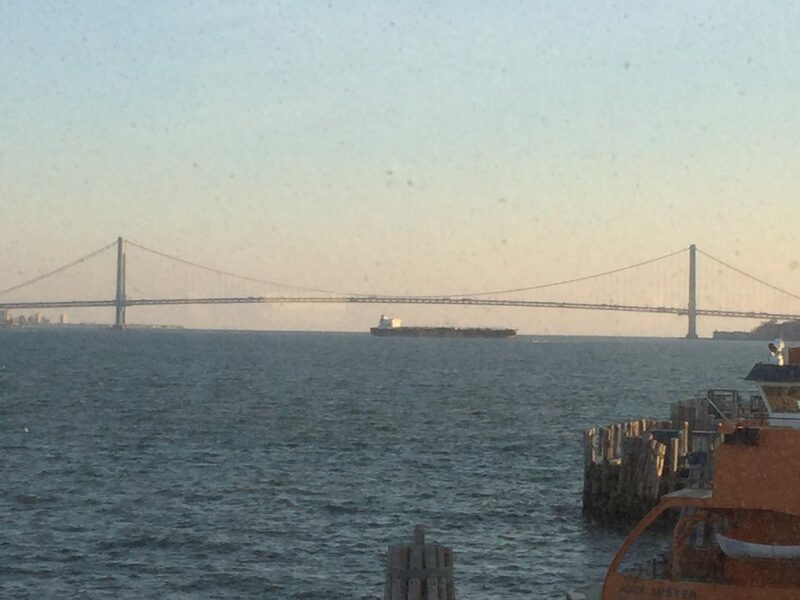 The bridge gained its hyphenated name due to lobbying by Italian-American citizens to name the structure after famous explorer Giovanni da Verrazano, who discovered New York Harbor in 1524 and crossed through the Narrows with his ship. It sees nearly 200,000 vehicles crossing it per day and remains popular with truckers—who do not pay the toll that people traveling west on the bridge do as they leave the city via one of the Manhattan crossings into New Jersey. The Verazzano-Narrows Bridge is indeed an engineering marvel. The towers of the bridge are not exactly parallel to each other as they had to account for the curvature of the Earth as the bridge was so long. Its construction helped lead to a population boom on Staten Island, from slightly over 220,000 in 1960 to nearly 475,000 today. This is the type of information you will learn on a Sights by Sam tour. With the beginning of November, the focus of many becomes the holiday season. Christmas lights go up, ads with fashion models in holiday colors appear on billboards and on public transportation, and store windows along Fifth Avenue go to war with each other over which is the most over-the-top display of Season’s Greetings. As New York is the country’s largest city, it lays claim over several important Christmas traditions. In the press and writing, New York can lay claim to one of the first modern interpretations of Santa Claus through NYC native Clement Clark Moore’s 1823 poem, “A Visit from Saint Nicholas,” which describes the lovable Santa Claus most people recognize delivering gifts from house to house on his sleigh pulled by reindeer. Santa’s existence and reputation was solidified in an 1897 editorial from the New York Sun, entitled “Yes, Virginia, There is a Santa Claus.” This editorial, reprinted on Christmas Day by most New York papers, is believed to be the most reprinted editorial in history. Many neighborhoods ring in holiday cheer with residents of some Brooklyn neighborhoods such as Dyker Heights and Bensonhurst putting up large Christmas and holiday light displays in front of their homes. Perhaps the quintessential symbol of the holiday season in New York is the Christmas Tree at Rockefeller Center. 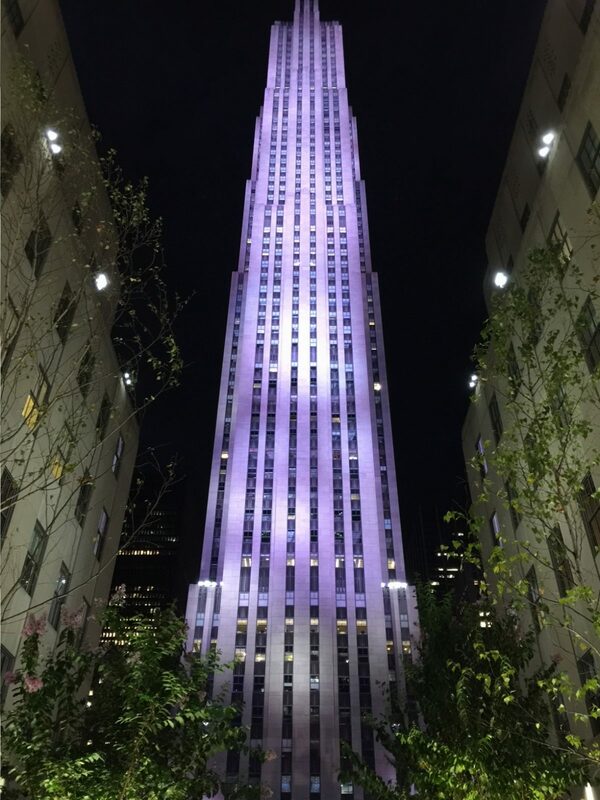 The first tree was a small, 20 foot tree raised by construction workers at Rockefeller Center in 1931 by workers building the complex. First raised officially in 1933, the tree is usually a Norway Spruce between 70 and 100 feet tall. In recent years, it has been harvested from New York State or a neighboring state, but it has come from further afield in the past. The tree, which is crowned by a massive star made of Swarovski crystal, is up for display in the middle of November and lit the day after Thanksgiving. The tree is in the court in the middle of Rockefeller Center and is near the famous ice rink, a must-see for any visitor to the city during this time. Many visitors come to New York this time of the year to see the city at what many would say is at its best. In addition to shopping and seeing the city in its spectacular holidays decorations, it is also a great idea to take a Sights by Sam walking tour of the city—especially a nightly holiday tour that will run from December 1st to December 31st. You are able to book this tour at sightsbysam.com. Every year in November, one of the most important athletic events on the calendar in New York is the New York City Marathon. With around 50,000 runners per year, the New York City Marathon is the largest in the world, with professionals and amateurs alike competing. Because of the popularity of the race, spots are given out on a lottery basis, with some runners allowed in automatically if they have run in previous New York City Marathons or in certain qualifying marathons elsewhere. Runners looking to enter may also join the New York Road Runners Club (which organizes the annual race) and follow certain rules to earn a place in the marathon. Like all marathons, the race is 26.2 miles. It winds its way through all five boroughs of the city— beginning in Staten Island and going across the Verrazano-Narrows Bridge and then into Brooklyn and shortly into Queens before the course crosses into Manhattan. The race takes a brief jaunt into the Bronx and then back into Manhattan before ending near Tavern on the Green. The first New York City Marathon took place in 1970, exclusively within Central Park. It is hardly believable that only 55 finished the race, being watched by only around one hundred at the finish line. Today, runners are spaced out in staggered waves (they are tracked and timed via transponders embedded in their racing bibs). 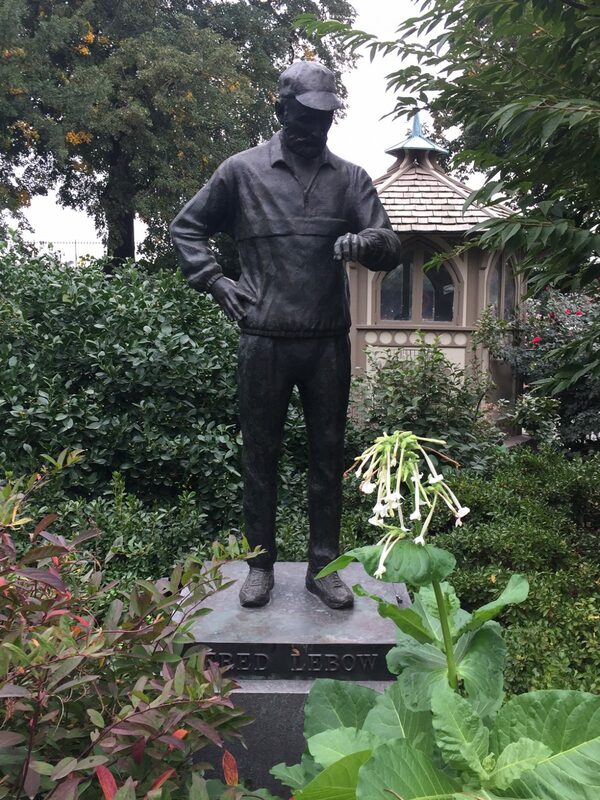 At the finish line, runners are traditionally greeted by a statue of Fred Lebow, which is moved from its spot in Central Park near East 90th Street. Lebow was the founder of the New York Road Runners Club after taking an amateur interest in running in the 1960s. A former Romanian refugee who fled his homeland after World War II, Lebow worked tirelessly for years to raise the stature of the marathon and created several other races in the Metro New York area—notably the Empire State Building Run-Up, which is one of the more colorful races in town where participants run up 1,576 steps to the top. He died in 1994, weeks before that year’s marathon. The only time the marathon was cancelled since its inception was in 2012 due to Hurricane Sandy occurring right before the marathon. Supplies such as water and generators needed to help volunteers at the marathon were diverted to help people hurt by the hurricane in areas such as Brooklyn and Staten Island. In terms of superlatives, the fastest woman to run the marathon was Margaret Okayo of Kenya, who ran the race in 2:22 in 2003. The fastest man was Geoffrey Mutai of Kenya in 2:05 in 2011. The race attracts thousands of spectators and volunteers every year to see both amateurs and professionals run. This is the type of information you will learn on a Sights by Sam tour. Nowadays, the name Robert Moses conjures up displaced families, highway construction, the departure of he Brooklyn Dodgers, and even accusations of racism for some. 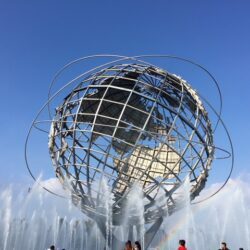 Despite the negative associations that Moses brings up, Moses is also responsible for the Lincoln Center, World’s Fairs in Queens, and a number of bridges that help to connect the city. Moses was born in Connecticut and moved to New York as a child with his family. He earned degrees from Yale, Oxford University, and Columbia University. With expertise in urban planning, he soon caught the attention of Al Smith, governor of New York. Moses worked as a planner for Smith and later his successor, Franklin Delano Roosevelt in building parks projects throughout New York State—including Jones Beach in Long Island. Moses soon became associated with the city government, working on planning and construction projects around all five boroughs. He met with public approval as he worked to rehabilitate parks and playgrounds across the city in addition to building new crossings such as the Triborough Bridge. At his zenith of power, he held multiple chairmanships of important city and state commissions that were responsible for building infrastructure across the city. His chairmanship of the Triborough Bridge and Tunnel Authority helped give him access to capital to fund other infrastructure projects. Like former Chinese leader Deng Xiaoping, Moses had de-facto final say over many projects despite not being the leader of a political entity. Moses’ reputation began to take a hit during World War II. 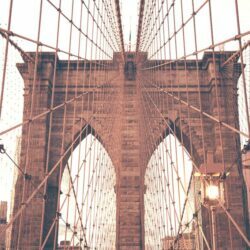 A proposal for a massive suspension bridge from Brooklyn to Lower Manhattan was shelved in favor of the Brooklyn-Battery Tunnel. Moses also favored massive clearance projects that demolished dilapidated tenements, but displaced hundreds of thousands of people all across the city. These were most evident in highway construction projects (the BQE and the Cross-Bronx Expressways were the two most notable). Moses earned the ire of New York residents, led by Jane Jacobs, over the proposed Lower Manhattan Expressway. This highway would have cut a massive swath through SoHo, Little Italy, and the Lower East Side. The project was eventually abandoned, leading to a wave of freeway revolts across the country. Moses is probably best remembered outside of the city for his battle with the Brooklyn Dodgers owner Walter O’Malley—which caused the team to decamp for Los Angeles. Moses gradually lost power as public perception of him diminished. The Triborough Bridge and Tunnel Authority was folded into the Metropolitan Transportation Authority. With the publication of The Power Broker by Robert Caro in 1974, his reputation lay in tatters. Despite this, his mark on the current city is undeniable. 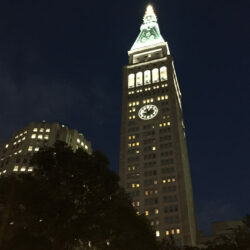 In addition to seeing several places directly connected with Robert Moses on a Sights by Sam tour, this is the type of information you will learn. Every day, 60,000 people from Staten Island descend upon Manhattan for work and play on one of New York’s most picturesque and cost efficient forms of transportation, the Staten Island Ferry. The eight orange-and-blue ferry boats ply the five mile route in about a half hour between the two ferry terminals. The Staten Island Ferry was first run in the 1700s, but came into its own in the 1800s when it was first run by a turnpike company and later by the Vanderbilt Family as part of their railroad empire (later sold to other railroad companies). After a major accident in 1901, New York City’s government seized control of the ferries, which has owned and operated them since. In 1997, the ferry was made free when Mayor Rudolph Giuliani followed through on a campaign promise to make service free (to heal the rift in relations between Staten Island and the other four boroughs alluded to in my previous blog article about the history of Staten Island). Passengers were once able to bring cars on the ferry boats, but this has been banned since 2001. 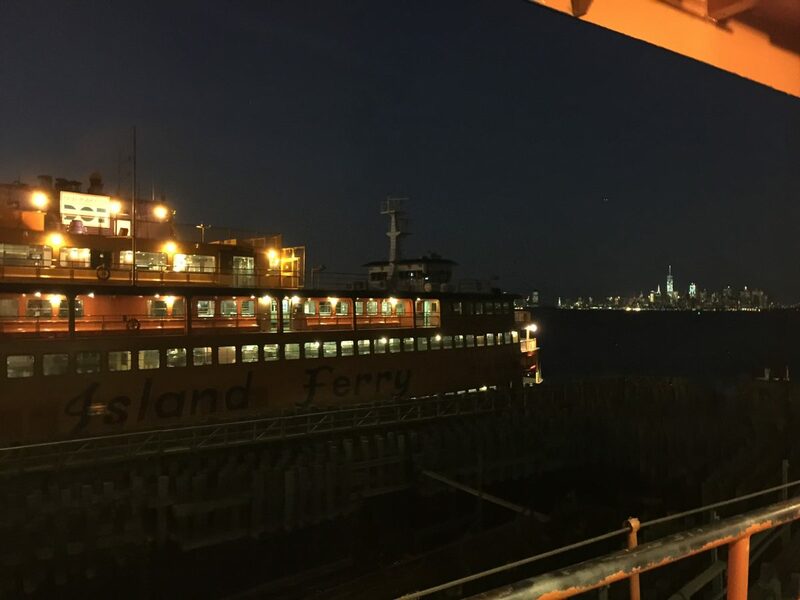 Since the first decade of the 2000s, the ferry calls on two renovated terminals in Whitehall, Manhattan, and St. George, Staten Island. 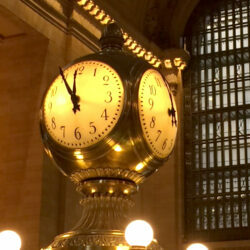 Visitors are able to be transported easily through the borough they arrive in via several subway stations on the Manhattan end and a jumble of bus lines and a Staten Island Railway stop near the St. George terminal. The boats plying New York Harbor are an important symbol of the Borough of Staten Island and form one of the most distinctive modes of transportation in the city. While you are in New York, a trip upon the Staten Island Ferry is worth your time and an attraction that is also easy on the wallet. This is the type of information that you will learn on a Sights by Sam tour.